AMS / Mishimoto / Zaklee and MORE From Your one stop shop for affordable performance! Evo 'For Sale' Miscellaneous Includes model cars, apparel, decals, and other miscellaneous items. Get the best pricing and service exclusively from MAP! MAPerformance guarantees the lowest pricing on top name brands such as AEM, Cobb, Turbo XS and more! Give us a call at 1-888-MAPerformance today to speak with one of our sales specialists for help with your specific needs. Start shopping here to browse a selection of our products offerings, or give us a call at 1-888-MAPerformance today to speak with one of our sales specialists! The AMS EVO VII/VIII/IX Black Anodized CNC Aluminum Spark Plug Cover is the perfect accent to brighten up your engine bay. This is the same cover utilized in the AMS EVO VII/VIII/IX 2 channel CDI Pro Coil-On Plug Ignition System so you can upgrade to our coil on plug system at a later date. The Mishimoto radiator cap is rated at a higher pressure and will keep coolant where it needs to be-flowing within the system. The sleek carbon fiber exterior will add an unexpected touch of style. Constructed from hand laid carbon fiber. Rated at 1.3 Bar (19 lbs pressure). Please contact us for unbeatable pricing on these products, also keep in mind we will match or beat any competitors pricing on so called "package deals"! : Send us a PM||||| : NateAtMAP||||| : 1-888-MAPERFORMANCE x 114||||| : [email protected]|||||Click to chat for an instant quote! Like us? Tell us and everybody else about it! Last edited by maperformance; Oct 4, 2012 at 11:49 AM. Check out the "Featured Manufacturers" section of our site! MAPerformance stock frame turbos for Mitsubishi EVO! MAP EVO X Package deals! 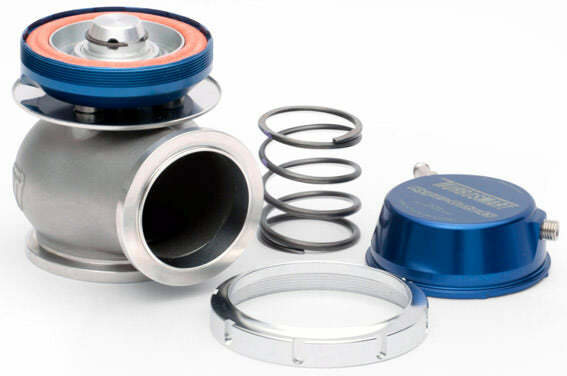 MAPerformance, your BEST source for Turbosmart Wastegates, Blow Off Valves, and all sorts of boost related goodness! MAPerformance EF Series EVO 8/9 Turbos. Power, reliability, performance...all in a stock frame package! Valvetrain, drivetrain, brakes, fueling...it's all here in the "MAP Package Deals" section of our site! Stock frame EVO 8/9 and X Turbos? MAP's EF series of turbos has you covered! Finally, a fuel feed line solution for your EVO X! This MAP fuel feed line kit replaces your entire factory feed line from the fuel pump housing to the fuel rail with 6an hose. Supplied push-on EFI fittings allow for an easy installation that requires no modification to your fuel pump housing or fuel rail! Why replace your factory fuel feed line? Restrictions in the factory line cause pressure drop from the fuel pump to the rail; depending on the application a fuel pressure reading at the fuel rail might be 5, 10, or even 15psi lower than the fuel pressure at the pump. Take a gander at any fuel pump flow chart and you will find that fuel pumps flow significantly less at higher fuel pressures. To put this into perspective a Walbro 400lph fuel pump flows roughly 253lph at 90psi (13.5 volts) in comparison to 300lph when pressure is reduced to 75psi. An additional 50lph translates into almost 100whp of additional fuel capacity on E85! This kit is available with or without a FueLab inline filter, however, please keep in mind that any aftermarket fuel pump (outside of the DW65C) will eliminate your factory in tank filter making this a pretty good idea. MAP invested hundreds of hours into developing a system to polish schedule 10 to our specification including research into the best possible tumbler, sampling a wide array of aggregate to generate the perfect finish to start with. ALL MAP in house fabricated manifolds are tig welded and 100 percent back purged. This a process by which shielding gas is introduced to the interior of the welded area to prevent the molten metal from being exposed to oxygen. This results in stronger, more uniform and cleaner welds. Where some companies will simply grind away excess material for a simple transition into the runners, MAP manifolds are actually ported and shaped for maximum flow. All MAP manifolds are backed by our Lifetime Ownership Guarantee! When purchasing a MAP manifold, purchase with confidence. We guarantee that manifold for the lifetime of your ownership of it (valid for the original purchaser only). The wait is finally over as you can now get the MAP treatment in a T3 configuration using some of the best components available! Choose from four killer PTE turbochargers (please don't hesitate to contact us for suggestions) and turn your horsepower dreams into a reality. This kit includes every component you will need to complete the installation. MAPerformance stock frame turbos! Available for the EVO 8/9 (EVO 8 will require a conversion kit to fit an EVO 9 turbo available through us as well!) AND EVO X! Power, reliability, affordability all in a stock frame turbo? It's as simple as that. MAP turbos use our MAP Billet wheel, dual oiling ports for improved lubrication and all EF3, EF4's include upgraded thrust bearings. Simply put, MAP is your answer for your stock frame turbo needs! If for some reason you are not happy with your MAP turbocharger simply send it back to us within 30 days from the date of purchase and we will refund you 100% of your purchase price for that item. Please note the turbocharger must not be damaged or altered in any way, and all accessories must be included within the return shipment. Quick Reply: AMS / Mishimoto / Zaklee and MORE From Your one stop shop for affordable performance!